We have just released our guide for the fight against Tsulong in the Terrace of Endless Spring raid. If you were a fan of the Valithria Dreamwalker encounter in Icecrown Citadel, then you can rejoice, as you once again get the opportunity to heal the boss instead of damaging him! Unlike Valithria, though, this boss sometimes goes hostile against your raid. 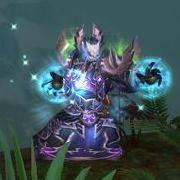 We remind you that this week marks the opening of the Terrace of Endless Spring, as well as the opening of the second half of the Heart of Fear in LFR. Our guides for the last two bosses in this instance should follow shortly.